Haster formed in late 2010 set on bringing back the American Alternative Metal movement spliced with Hard Rock influences. Adopting styles from acts such as Chevelle, Tool, and Korn, the band places equal importance on stage presence and musicianship. Their ambient feel, heavy foundation, and a performance intent on telling a story, evoke an unparalleled experience that creates an insatiable desire for more. Recording their debut E.P. “Searching” became the first step towards establishing a presence in the Orange County music scene. A relentless show schedule, a humble attitude, and constant efforts to improve have stimulated an overwhelming growth that inspires an emotional connection with fans worldwide. Haster started as a band, but is quickly becoming a movement. Placing importance on live performances as well as social media, the band reaches out to an enormous number of followers on a daily basis. Meaningful messages and sociable attitudes help them create and maintain a personal communication with their fan base. 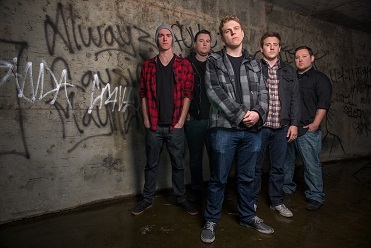 Haster believes in their music and hopes to share it with anyone willing to listen. “Let It Go” the new 14 song full length album by Haster will be released on March 25th, 2014. ‘Crutch’ the first single off “Let It Go” will be released on Feb. 17th, 2014. ‘Medicine’ the newest music video and single off “Let It Go” released on March 3rd, 2014! !